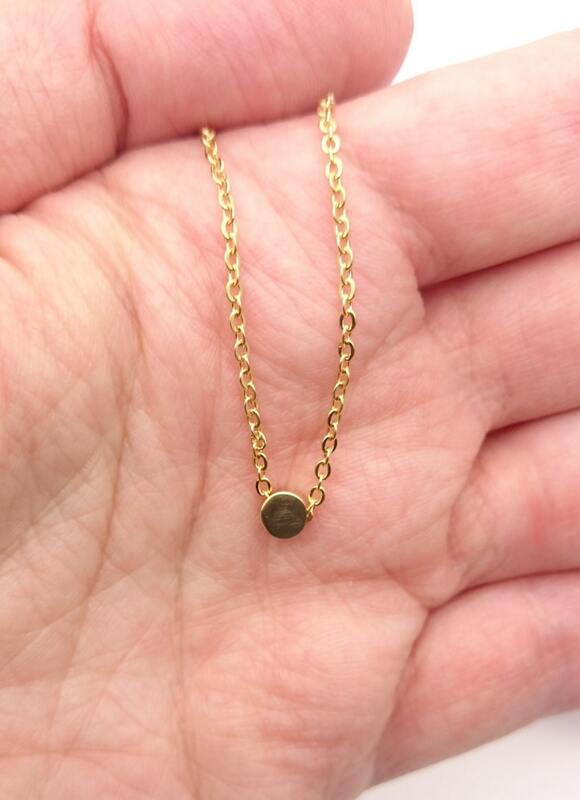 Gold tiny round charm necklace yellow gold plated 18k stainless steel hypoallergenic. 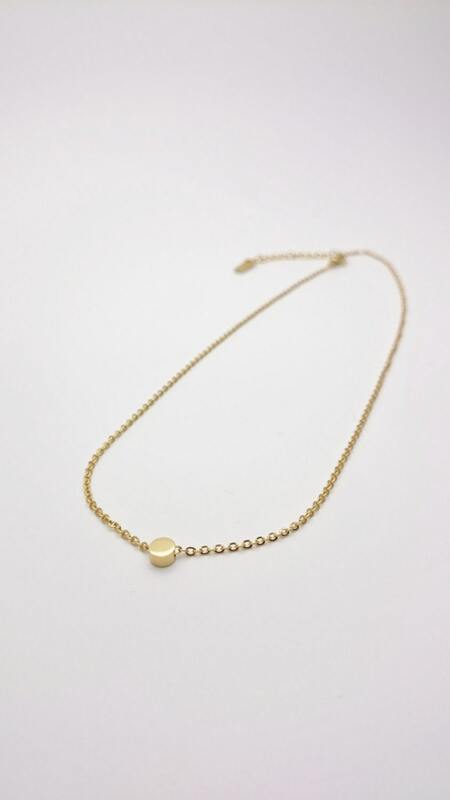 Dot bead minimal necklace. 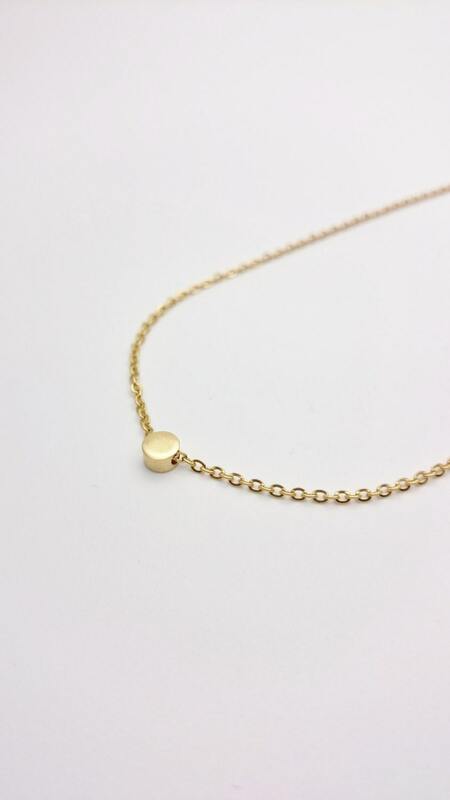 15 inches chain with lobster clasp and about 2 inches extension chain. 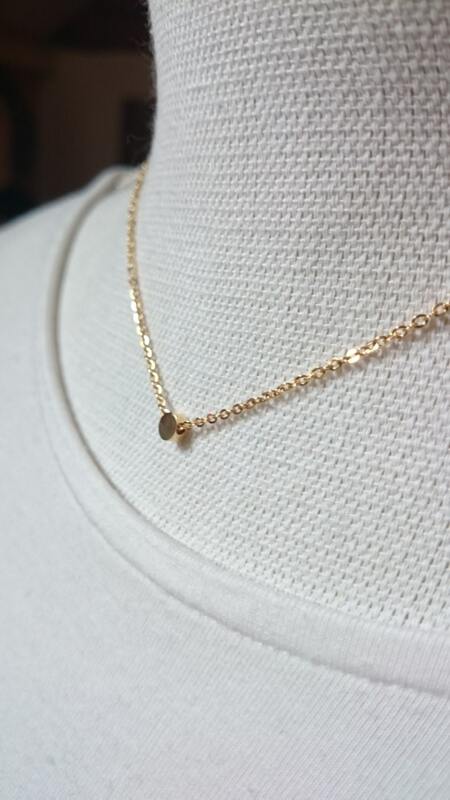 Pendant diameter : 5 mm. 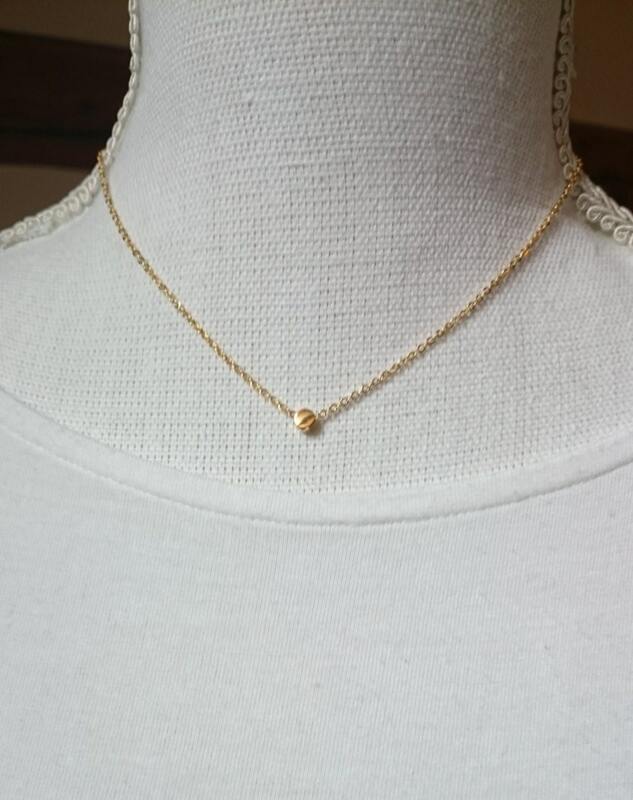 This necklace is tiny and light, perfect for every day wear !